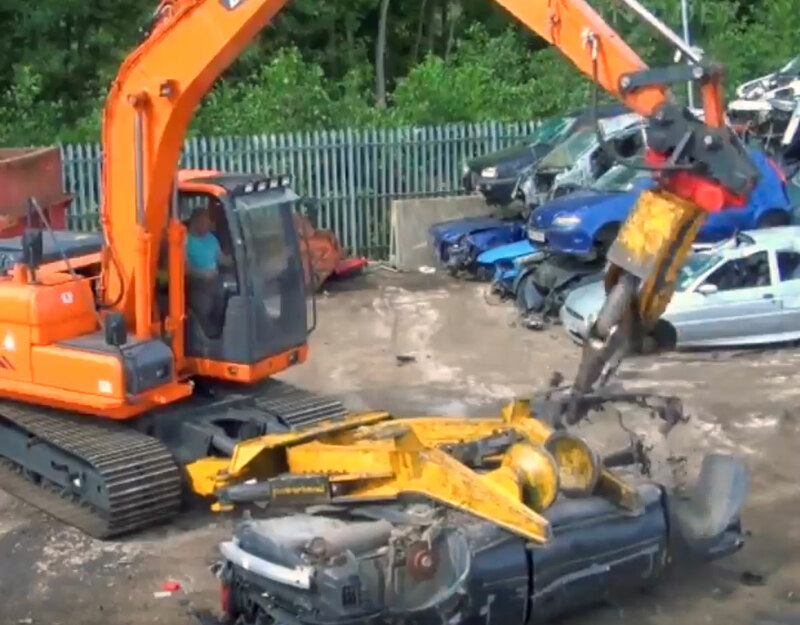 The Powerhand VRS (Vehicle Recycling System) allows junkyards to extract previously irretrievable materials. Watch as the machine picks apart cars effortlessly. The following is a transcript of the video. This machine picks apart cars with precision. It’s the Powerhand VRS (Vehicle Recycling System). A two-part hydraulic system that attaches to an excavator. The grapple moves the car around, cuts oversized material, and picks parts out of the car. The clamp arms crush parts, hold the car in place, and strip electrical pieces. Together they rip apart cars effortlessly. Junkyards use them to extract valuable metals. This car is about to be dismantled piece by piece. This worker starts by picking out material from the engine bay. The engine is set aside. It will be cut and sorted later. Next, the components from the wheel well are ripped off. The roof of the car is torn off. The grapple breaks down the interior. Then combs through the wreckage. The electrical components and other metals are separated. Once the car has been dismantled it’s set aside to be crushed. Now it’s time to split the engine. The ferrous metal is separated from the alloy. The VRS can process up to five cars per hour.